Alphabet and Nest are updating Nest's own smart home devices with some nifty new image recognition and machine learning features. The fresh updates bring new powers to devices like the fairly recent Nest Outdoor Cam and its Learning Thermostat as well as allowing them to interact more with other Works With Nest gadgets. Over 20,000 devs are already using Nest's APIs so this expands what they can do. So, what's new? 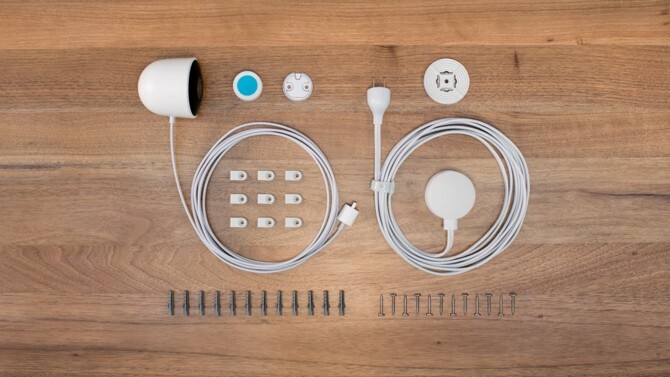 First up, the Outdoor Cam closes the gap with rivals like Netatmo. It can now detect whether it is a person in your garden, a rogue pet or a car driving by, for instance. It does that using the pattern recognition tech developed using Google Photos' massive library of millions of uploaded images. Clever and in future Nest's security cameras may be able to tell the difference between your car and an unknown one. On the smart thermostat side, the new Eco Temperature setting replaces the old 'Away' setting - it doesn't automatically trigger camera functions now. And a new Sunblock API now means the Thermostat can talk to connected blinds and shades. So beforehand, it would cool the house if it detected direct sunlight. If the necessary code is added for the third party devices, this could also extend to smart light bulbs which could automatically dim when light pours into the room. Do you have a Nest powered house? How do you like the new features?